Sophomore Jon Davis just became the third Illini ever to win the NCAA Midwest Regional. He joins Trent Hoerr (2007) and Illini Hall of Fame member Craig Virgin (1974-76). Davis’ time of 29:06 ranks second fastest on Illinois’ all-time list for 10,000-meter races, behind Virgin’s 28:26 at Nationals in 1976. 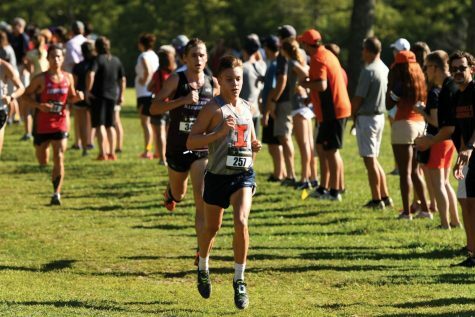 Going into last Friday’s regional meet, the Illini cross country team was looking to do some damage. They needed a top-two spot to secure an automatic bid to the NCAA National Championship, and at least a third -place bid to be considered for a bid as a wild-card team. 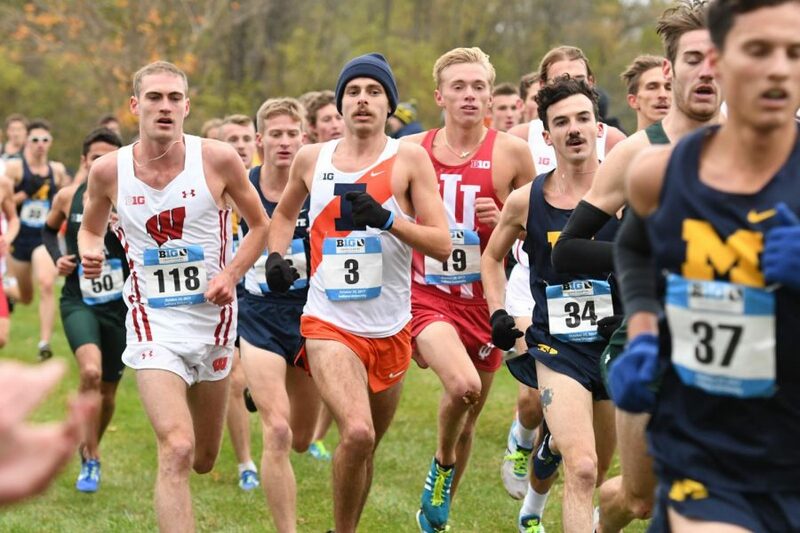 Despite tying for third, the Illini did not receive a bid to the National meet. 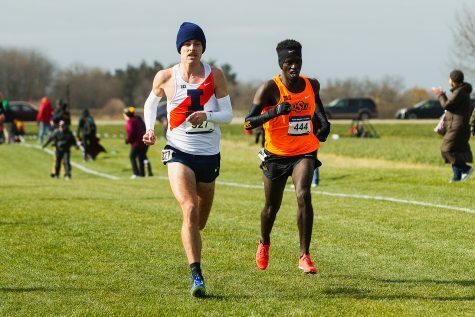 However, Davis, being the winner of the Regional, will represent the Illini at Nationals, as he claimed one of 38 spots for individuals whose teams did not qualify. Davis finished first for the Illini in each of their last four meets. This most recent victory comes off of a ninth-place finish at the Big Ten Championship, in which Davis won cross country All-Big Ten honors for the first time in his career. Davis has already run well at the national course — he previously ran the fourth-fastest 8,000-meter race (23:43) in Illini history to go along with a ninth place finish at the Greater Louisville Classic. He followed that up a week later at the Ed Nuttycombe Invite with another sub 24-minute performance, becoming the first Illini since Dylan Lafond (2015) to do so. “I feel like for now, the important thing will be for me to recover from Friday’s 10,000-meter race and maintain myself going into Nationals,” Davis said. “Running 10k’s back to back is tough on the body, so I just have to do what I need to do to remain fit, and then everything else will take care of itself.